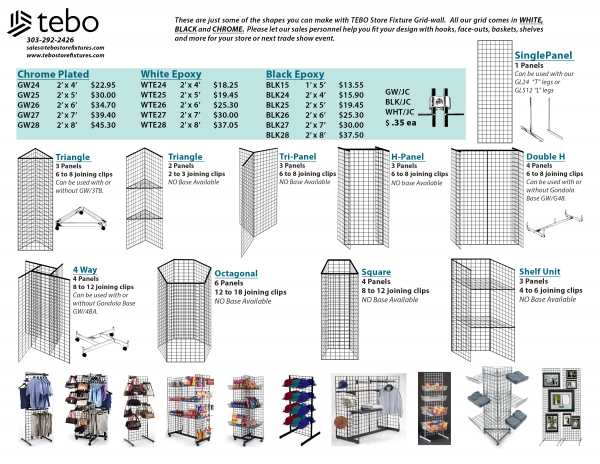 Grid of size 2 x 4 are the most versatile cost-effective display available to all types of retailers. 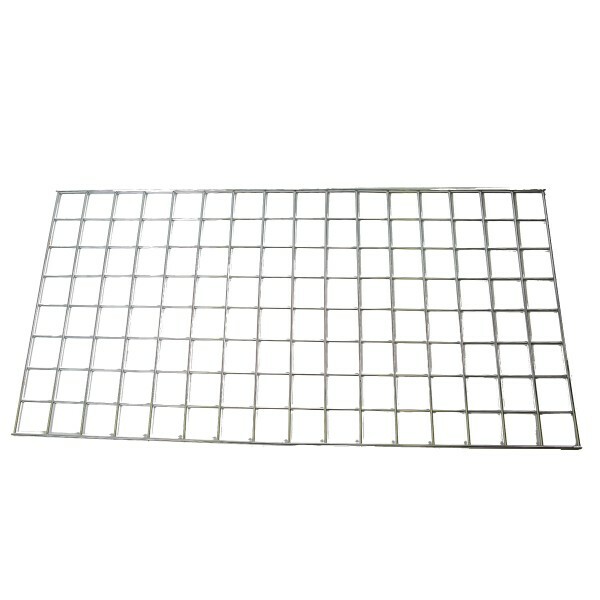 It can be used on the wall, on the ceiling or free-standing on the floor. 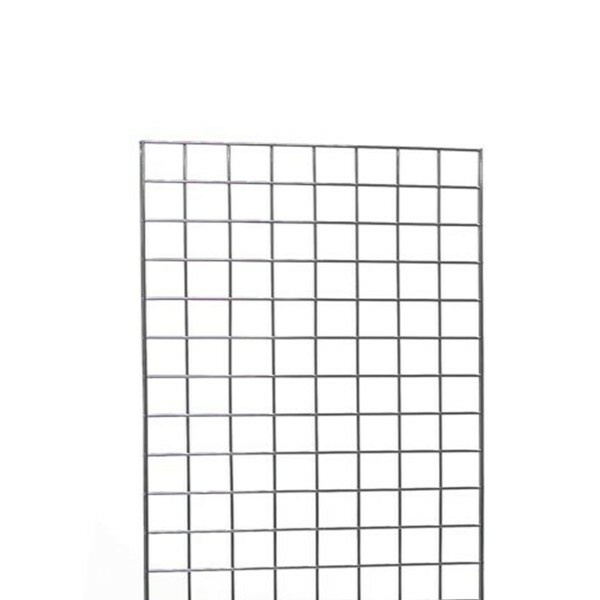 Also can be used singly or connected to other panels, allowing for unlimited display possibilities with chrome wired panels.